I couldn’t sleep this naptime because I couldn’t help thinking how I’ve never really exposed my heart here on my blog. I’ve given lots of good tips, recipes, whatever… but what does all that mean if you don’t know the person behind the words? I guess I’ve been thinking of how to share my heart for a while & being the perfectionist that I am I had to think of the perfect way I guess! But then, those perfect ways wouldn’t really be real because, gasp, I’m not perfect! Sigh… So, thanks to Crunchy Betty’s post today reminding me to be real, I’m just going to share something that’s been on my heart! Wow… what a concept! Sounds simple, but it’s a biggie for me! Have you ever had one of “those days”… those days where you can’t wait to put the kids down for nap… you just wish they’d be quiet for one second… you’re glad you have a fenced back yard and a door that closes… you feel annoyed when one wakes up from naptime earlier than expected… you feel like pulling your hair out because they just won’t listen… you yell at your toddler. You know, “those days”… Yeah… “THOSE” days! I think we all have them… I also think most of us are too ashamed to say that we do. I know I am. That’s why it’s been on my mind lately… because I’ve heard people comment about how they think I have it all together, I do things right – all the time… I don’t want people to think I’m perfect! I’m soooo far from it. I don’t get it right all the time… and I get down on myself for it. My husband frequently tells me what a “good mom” I am… but, if I’m really honest, it irritates me when he says it. It irritates me because I don’t believe it about myself. If I really think about what I believe about myself – I believe I’m a failure… I believe my kids don’t like me… I believe they’ll be glad when they get to leave our home because they don’t have to be around me anymore… I believe I’m the epitome of “bad mom”. And what I believe about myself comes out in what I do. 1. I wanted these little rascals – all of them. Yep… ever since I was a child I wanted to be a mom. When I got married my husband & I decided we wanted four kids. I’ve always wanted this… granted, I had a VERY romanticized idea of what “this” was! But I always wanted children. 2. I love each of them so much. They are all so special… there are so many things about each of them that make my heart smile… it’s so sad to me that I usually only allow my heart room to smile when I look at their pictures and remember cute things about them. My heart should smile every time I look at their messy little faces! 3. I am a good mom. I had trouble even writing that. 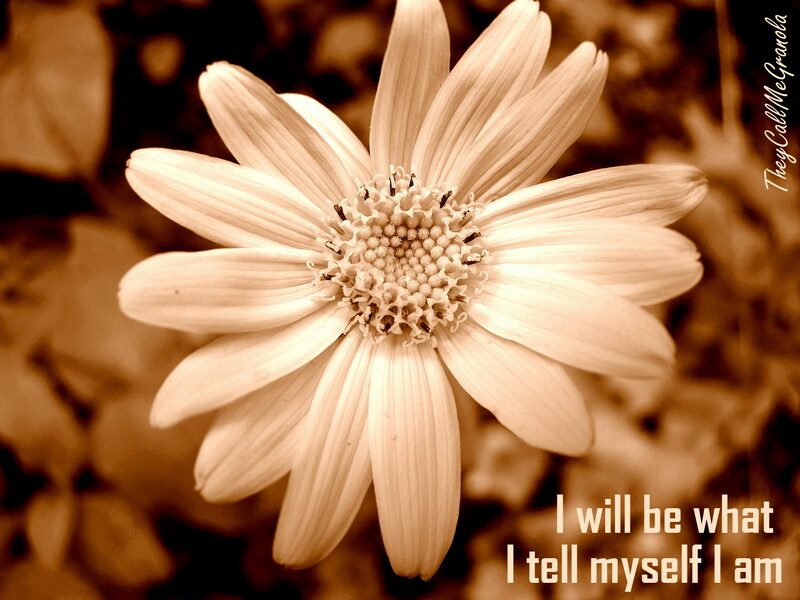 My husband has been known to tell me that I will be what I tell myself I am. So… even though I don’t think it’s quite the truth, I will tell myself that I am a good mom because that is my heart’s desire. And maybe, just maybe, if I tell myself that fact, when my kids get up from their sleeps, I will be their good mom. Now that I’ve thought about those things, my heart has softened, relaxed, refocused. I am their mother, I love them, they are beautiful little gifts. And when they get up, I’m going to kiss each squishy cheek. I’m going to look into each pair of chocolate brown eyes without saying anything at all, just communicating that I love them by looking into their eyes. Then I’m going to draw each to my breast & embrace them, whispering “I love you”… and I’ll probably cry this time (like I am now), because I do love them… so much. that I forget how much my littles mean to me? Am I the only one who fails sometimes?